Tax deadline is April 15, so if you haven’t begun gathering your annual tax records it’s time to do so. Every year, however, people’s lives change – they buy and sell houses and move, they take new jobs, have kids, buy and sell stock. Those and dozens more reasons might give you cause to hire a tax preparer. It’s worth going over the primary reasons why some people should get help with their taxes and others can continue going it alone. You work for only one employer who gives you a W-2 tax form each year. You rent your residence and don’t own a home or vacation property. You don’t have kids or other dependents. You don’t have any complex investments such as a partnership, a trust or extensive stock holdings. You really like numbers, are willing to investigate annual changes to the tax code and double-check your work. You’re comfortable doing computations by calculator or by hand, or by using tax software on your computer or online. For do-it-yourselfers with computers, the Internal Revenue Service’s Free File program is aimed at some 95 million taxpayers with an Adjusted Gross Income (AGI) of $57,000 or less in 2009 to prepare and e-file their federal tax returns for free. E-file, the IRS’s online tax filing service, is available to both tax professionals and individuals with compatible home computer tax software. You can learn more about the e-File program here. You’re buying or selling property. You own a business or rental property. You get regular income from a trust or partnership. You trade investments frequently or have a complex portfolio. You’ve undergone a major financial impact during the previous tax year, such as a divorce, death of a spouse, an inheritance or a move of more than 50 miles for a new job. You are supporting a child between the ages of 19 and 24 who is a full-time college student. You don’t have time to do it yourself. You are subject to the Alternate Minimum Tax (AMT). Your income has increased by a considerable amount from the previous year. Ask how they charge: Avoid preparers who claim they can obtain larger refunds than other preparers. If your returns are prepared correctly, every preparer should derive substantially similar numbers. Don’t believe promises: If a preparer guarantees results or bases fees on a percentage of the amount of the refund, be suspicious. Tax preparers aren’t allowed to charge a contingent fee (percentage of your refund) for preparing an original tax return. Ask what preparers will need: Reputable preparers will expect you to provide receipts and other paperwork if they need it to justify the return they’re preparing for you. You need to keep scrupulous records. Make sure you know exactly who’s preparing your return: It’s OK if your preparer has onsite staff assistance in preparation of your return, but the person you hire needs to be the person who reviews your return and signs off on it. Investigate your preparer’s record: Check with the Better Business Bureau, the state’s board of accountancy for CPAs, the state’s bar association for attorneys or the IRS Office of Professional Responsibility (OPR) for enrolled agents. Check your preparer’s credentials: Find out if the preparer is affiliated with a professional organization that provides or requires its members to pursue continuing education and holds them accountable to a code of ethics. Stay aware of tax scams: Newspaper business sections and news programs focus on abusive tax shelters and scams. So does www.IRS.gov. If you have a preparer encouraging you to get involved in tax avoidance strategies that are overly complex, check them out before you agree to jump in. 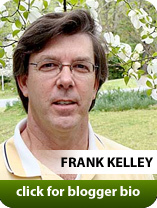 March 2010 — This column is produced by the Financial Planning Association, the membership organization for the financial planning community, and is provided by Frank Kelly, CFP®, a local member of FPA. The 4 Percent Rule — What is the Right Amount to Withdraw from Your Retirement fund each year? One Minute Money Lessons: What’s the Best Way to Pay for College? Does It Make Sense to Get Into The Market for Troubled Homes? Should You Pay Off Your Mortgage or Invest? What do Retirement, Debt and Winning the Lottery have in Common? Home Business Insurance: Are you covered? I’m In Business, Now What? Life Insurance Part 4 – What Kind Should You Buy? Is Your Home Business At Risk? Compounding Interest: For You or Against You?